The quiet churching of America continues, with yet another monastery being established in New York State. Glory to God! Property in upstate New York was recently purchased and blessed for a new Russian Orthodox convent, reports the site of the Russian Orthodox Church Outside of Russia’s Holy Trinity Monastery in Jordanville, New York. The community, named in honor of the “She Who is Quick to Hear” Icon of the Mother of God, was initially founded two years ago with the blessing of His Eminence Metropolitan Hilarion (Kapral), the First Hierarch of the Russian Orthodox Church Outside of Russia. The life of the monastery will flow within the same Russian Tradition as Holy Trinity Monastery, with services in English, and under the spiritual administration of Holy Trinity. 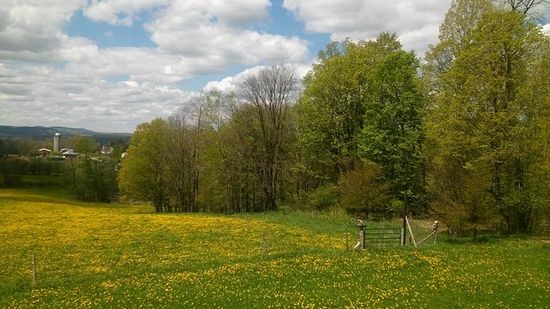 Property with already-existing buildings was found this summer in Richfield Springs, New York, 14 miles from Holy Trinity Monastery. 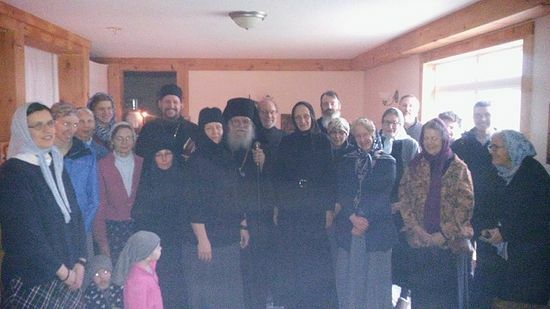 The property was blessed this fall, and the Vigil and Divine Liturgy were served on the community’s patronal feast on November 9/22. Among the celebrants were Archimandrite Luke (Murianka), abbot of Holy Trinity Monastery, and Protopresbyter Peter Heers, assistant professor of Holy Scripture at Holy Trinity Seminary. The Icon of the Mother of God “She Who is Quick to Hear” is an ancient, 10th-century wonderworking icon found at Dochariou Monastery on Mt. Athos. The name of the icon comes from an incident in 1664 when, from the icon, the Mother of God told the monk Nilus to announce to the other brethren, “Let them and all Orthodox Christians come to me in their necessities, and I shall not forsake them. All their petitions will be granted by my Son, because of my intercession with Him. My icon shall be called ‘She who is Quick to Hear,’ for I shall speedily fulfill the petitions of those who hasten to it.” The Most Holy Theotokos then fulfilled and continues to fulfill Her promise of quick help and consolation for all those who come to Her with faith.